New York, NY—Samsung Electronics America launched Samsung Creators. The initiative was developed to empower storytellers to generate content by showing everyday creators what’s possible with Samsung VR technology. This includes its Gear 360 immersive camera. Beginning at VidCon 2016, held June 23–25 at the Anaheim Convention Center, Samsung Creators is providing seminars and classes. It will put VR capabilities in the hands of filmmakers and influencers, to accelerate the medium. Leading into VidCon, Samsung Creators worked with Casey Neistat to spotlight emerging creators from YouTube and push the creative boundaries of 360º video storytelling. The special curation of content premiered at VidCon. In July, Samsung Creators is launching a competition, challenging aspiring, indie filmmakers and creators to develop VR/360º content using Samsung’s VR products. Ten winners will be chosen, one from each of the following categories: music, auto, science and tech, gaming, travel, fashion, culinary, cause-related, 4D and sports. 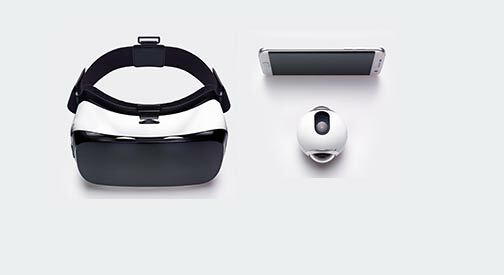 To complete its end-to-end VR ecosystem, Samsung launched Samsung VR—formerly known as Samsung Milk VR—which now supports user-generated content. 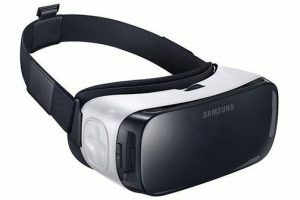 Creators can load their 360º videos to the Samsung VR platform for sharing. And for the first time, they can view them in the Samsung Gear VR headset. In addition, the previously announced Samsung Gear 360 camera was released in the U.S. The high-resolution cam was developed for storytellers to create 360º videos for mobile viewing and VR content for Samsung Gear VR, powered by Oculus. 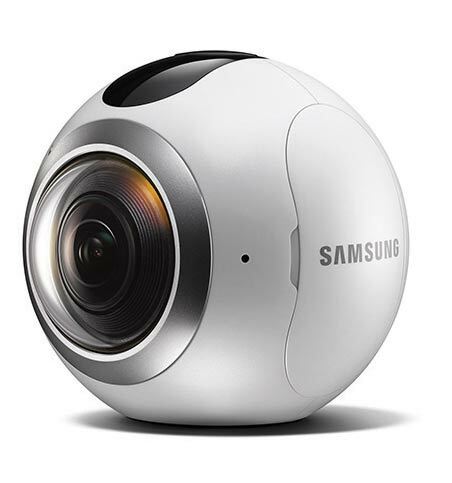 With a compact, spherical body, the Gear 360 is also equipped with dual fisheye lenses, which both have 15 megapixel image sensors. 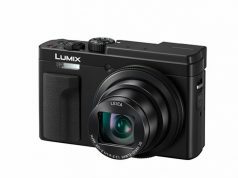 This allows it to capture 3,840×1,920-pixel, 360º video in the MP4 format as well as 30MP still images. The Gear 360 has a bright f/2.0 lens for low-light capture. 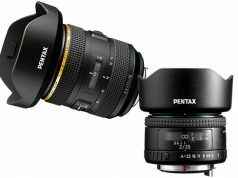 And users can shoot 180º wide-angle video and images while using only one side of the camera lens. The cam also features: a tripod; and video, photo, time-lapse video as well as looping video modes. In addition, it is compatible with a selection of accessories and mounts currently on the market.